The European race season is underway in earnest now, with the early season cobbles crested at Omloop Het Nieuwsblad, the dust of Strade Bianche's Tuscan white roads now settled, and the Tour of Flanders looming large this weekend. Springtime in Flanders: no cyclist should miss the chance to ride here at least once. The Tour of Flanders cyclo is easily the best-known sportive held on the roads of its professional counterpart. And it's a fantastic experience, with passionate fans lining sections of the route even for the sportive. But if you can't get an entry to this monumental ride, there are plenty of other options for you, including some less demanding and possibly more enjoyable alternatives. 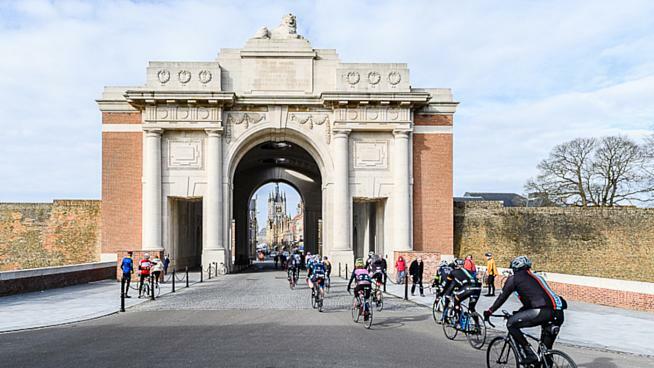 So throw on a double wrap of bar tape and tighten down those bottle cages as Tom Copeland guides you through the sportives of the Flanders Classics. 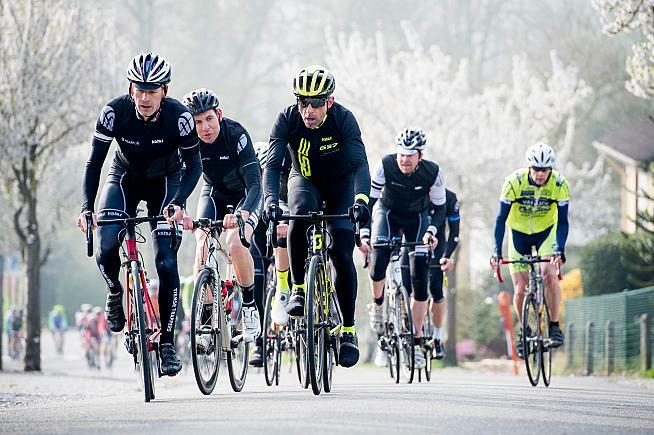 Kicking off the spring classics season each year, Omloop het Nieuwsblad often throws a mixture of testing climatic conditions to negotiate, but the one constant is the testing parcours for both amateurs and pros. Ease yourself into the year with a shorter 65km ride, covering the final circuit of the pro race, or add in some more climbing with the 90km route that eight climbs and the Haaghoek cobbled sector before finishing back in Ninove. 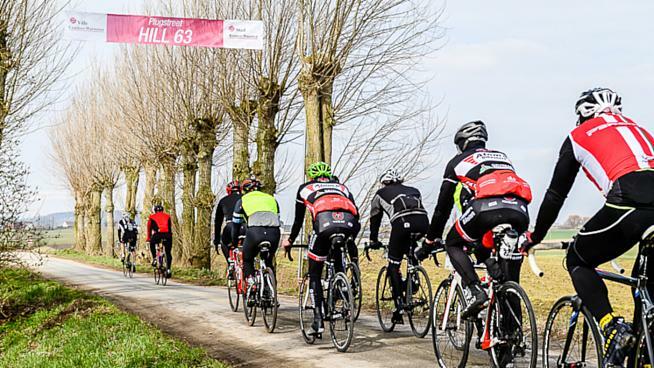 If you're up for the test, head for the 130km route which tackles 10 climbs, as well as five cobbled sectors, including the Molenburg, the Muur van Geraardsbergen and the Bosberg. Gent-Wevelgem offers a taste of the toughest tests from the Flanders Classics races without completely throwing you in at the deep end. 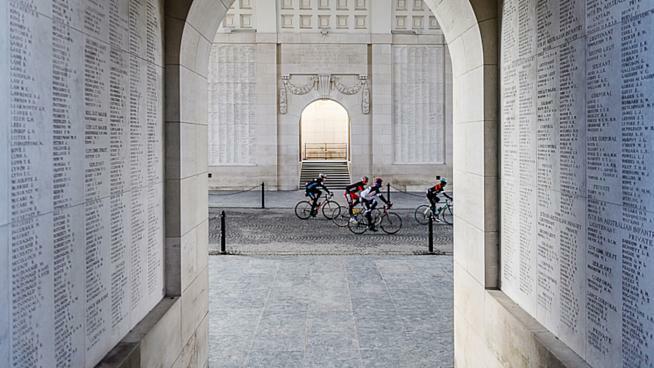 Few rides can be so closely connected to World War I as Gent-Wevelgem, with much of the riding taking place through Flanders Fields and even passing beneath the iconic Menin Gate in Ypres. While discovering much of the area's history during the ride, you will encounter the legendary hills of 'Heuvelland' and the unpaved 'Plugstreet', making for the experience of a lifetime. One for your diary in 2020. OK, we couldn't mention the Flanders Classics sportives without featuring the queen of them all. 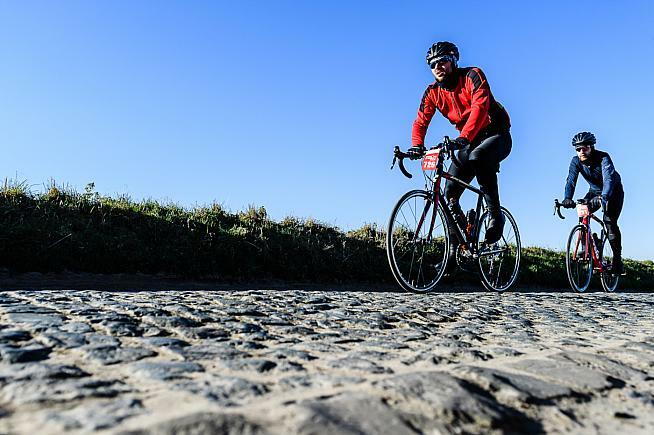 Ride the day before the pros, choosing how far you're willing to push yourself, tackling the infamous Mur and the habitual sting in the tail - the Kwaremont. This event is revered by many a rider around the world, both for its ferocity, but also for the atmosphere even for the amateur event. The reward for your efforts? Some of the best Belgian beers to ease the burning legs, and then a close up view of the pro race on the Sunday so you can measure your performance against the best in the sport, up close and personal. The distances on offer make sure that there's something there for everyone, with the shortest still tackling plenty of the signature cobblestone sectors and climbs. 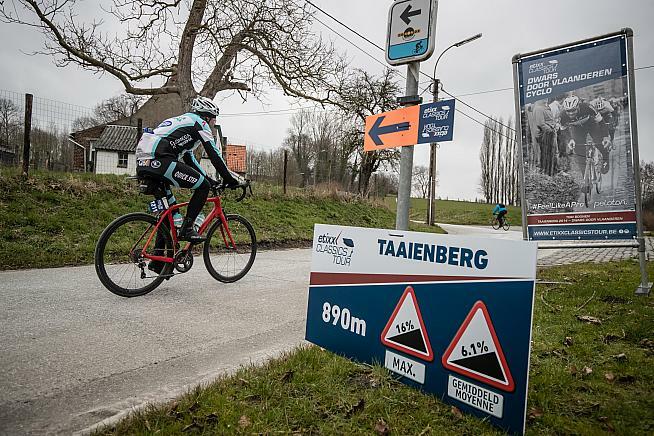 Take on the Taaienberg on the Dwars door Vlaanderen Cyclo. 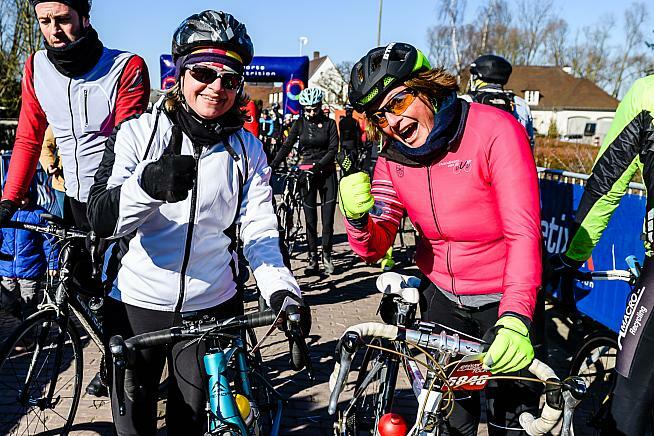 The choice of three distances means you can pick the ideal mix of cobbles, climbs and kilometres, as you tackle a variety of familiar locations on two wheels. 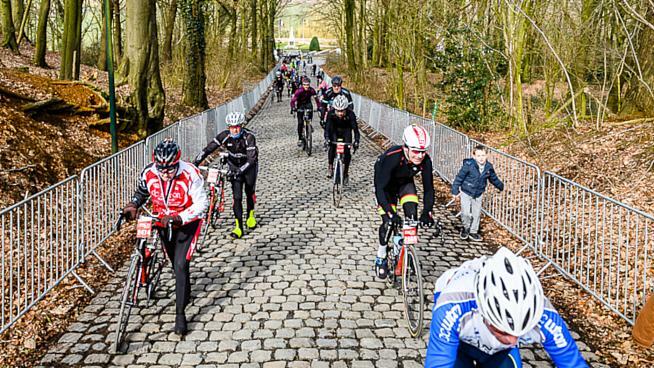 A maximum of 16 climbs and seven cobblestone sector are on offer to those brave enough. Knokteberg, Mariaborrestraat, Taaienberg, Berg Ten Houte and Nokereberg are bound to leave you some heavy legs and a thirst to be rewarded by the end of it all. The final kilometers of the ride are identical to the professional route, coming in via the Varentstraat, Nokereberg and Herlegemstraat en route to the finish in Waregem. The race may be 10 days before the professionals ride, but tie this into a longer trip to Flanders and you've got a veritable classics experience on your hands. Making this year's Brabantse Pijl more interesting for the pros than ever is the fact that the race covers some of the route traversed by the 2021 Road World Championships, with the event heading for Flanders for an almighty party of cycling. The rolling parcours of the main race covers numerous hills, where in the sportive, this amounts to over 1100m of climbing during the longest route. Brabantse Pijl marks the transition between the flatter Classics (said in hushed tones - if you've ridden the Oude Kwaremont, Paterberg, De Muur or some of the other names of the Flanders Classics, you'll know they are far from flat) to the hillier Ardennes races. Oh, and we nearly forgot to mention the cobbles. As is synonymous with the Flanders Classics the race of course comes paired with a number of cobblestone stretches. Much less harsh than their northern counterparts, but the amateur Cyclo covers plenty of them.